This magnetic board is a human body puzzle. The puzzle needs to be assembled and the name tags assigned to each body part. 27 pieces. 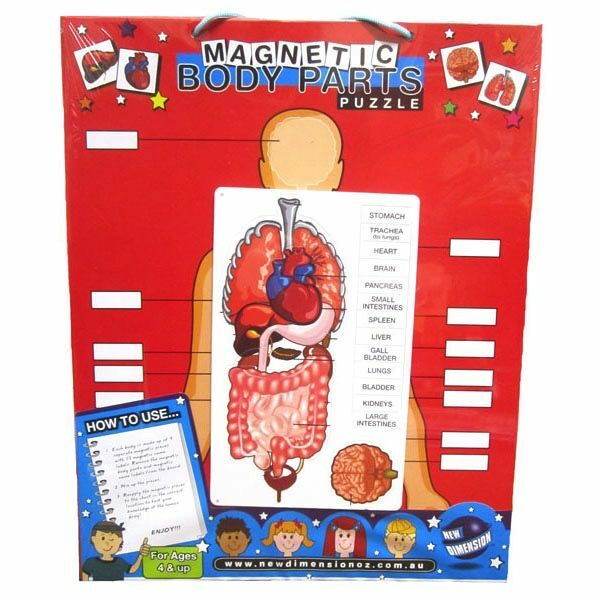 A great way to learn the names and locations of human body organs.